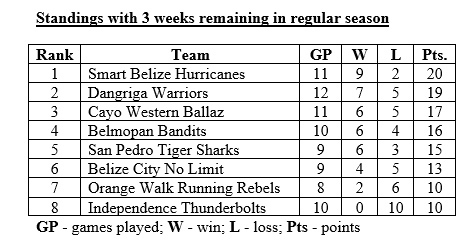 Press Release – National Elite Basketball League - March 28, 2016 - There are three weeks remaining in the National Elite Basketball League (NEBL) regular season, as each game becomes even more critical and teams are making their final playoff push. Below is the schedule for the upcoming games. All games can be followed live on our website at nebl.sportingpulse.net, with real time box scores, while the game is being played. The website also has all game scores, box scores, players and teams' statistics, along with standings for the season.